Please contact us for international shipping rates. Thank you. Proceeds from the sale of the merchandise on this website benefit Donna Addison, the widow of Jimmy Addison. 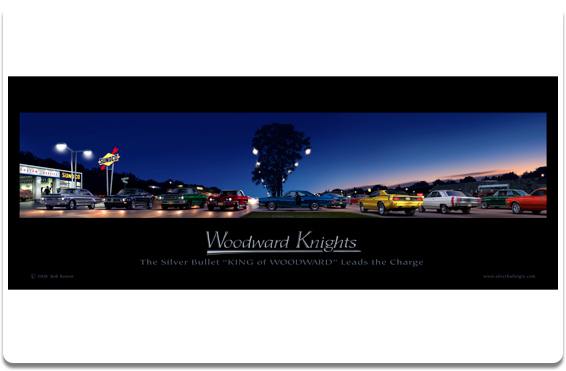 Woodward Knights poster by Bob Bowen. A commissioned work by well-known Detroit Automotive artist, Bob Bowen, for Harold Sullivan's Mopar Museum is now available as a limited edition poster. The highly detailed painting depicts an early 1970's summer evening on Woodward Ave. and a legendary race between the Silver Bullet and a storied 1968 Firebird. You'll really get a sense of being there. 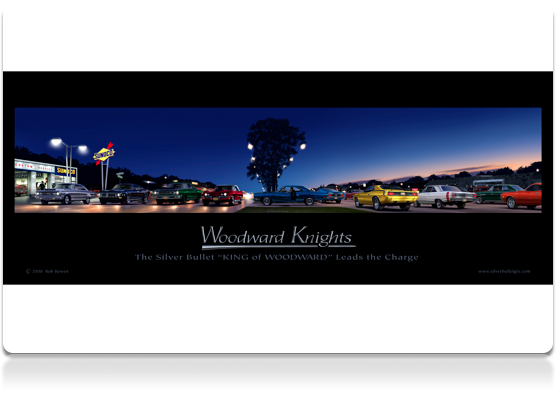 The poster is printed on 130lb acid free cover stock with 4 colors plus a satin varnish applied to everything except the painting and the Woodward Knights type. Front shows the American flag. 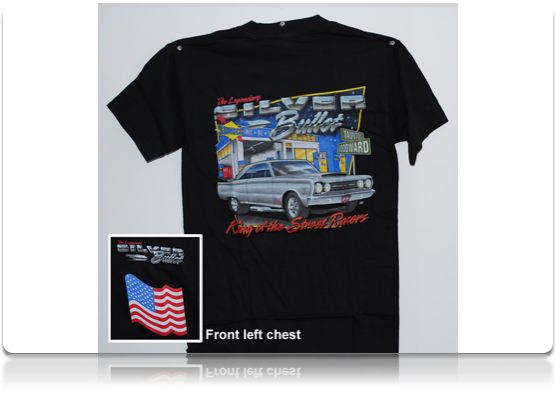 The back is a picture of Jimmy Addison's Sunoco and the Silver Bullet. 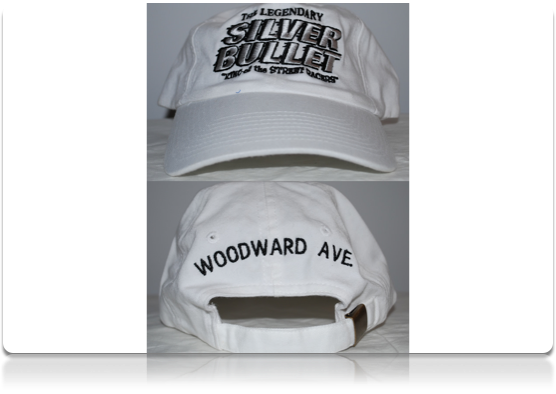 Silver Bullet embroidered on he front and Woodward Ave. embroidered on the back. Metal clasp. One size fits all. 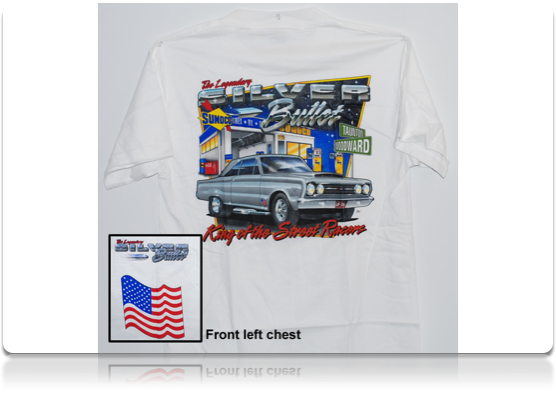 The Meanest, Baddest Street Racer to ever hit Woodard Avenue in Detroit, Michigan! The 1967 Plymouth GTX Bullet Silver with black interior. 426 HEMI with two Holley 4 barrels. Cragar S/S mags with rear slicks, four huge Cadillac mufflers with Headers. Limited Edition of 3000 pieces for Campbell Collectibles. Hood lifts off, doors and trunk open with workable steering. This model also features realistic body trim and detailing, folding seat backs, rear seat delete, fully sprung suspension, opening glove box, and positionable sun visors. Interesting document listing the history of this famous car also included! Replica Brand-New In the box. 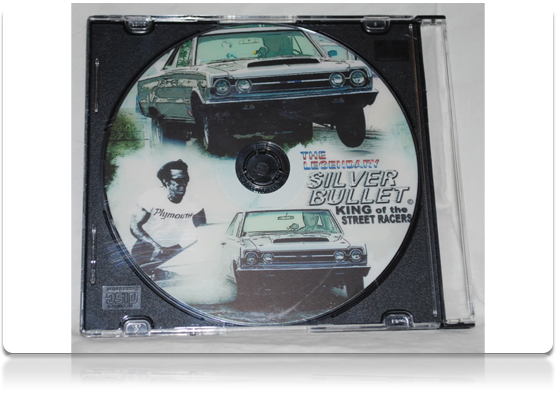 This DVD contains the history of the Silver Bullet and two passes at Milan Dragway. It is over 20 minutes long and in stereo. 30 seconds of the DVD HERE! 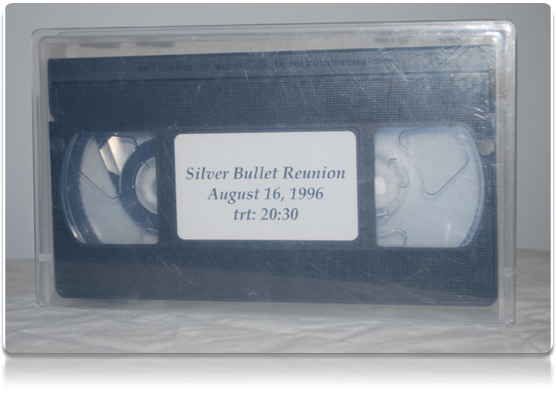 This VHS tape contains the unveiling of the Silver Bullet after it was restored. It also contains exclusive interviews. It is 20 minutes long and in stereo.